I had a great four day girls' weekend in a little town in the northern tip of Michigan's Upper Peninsula called Copper Harbor. 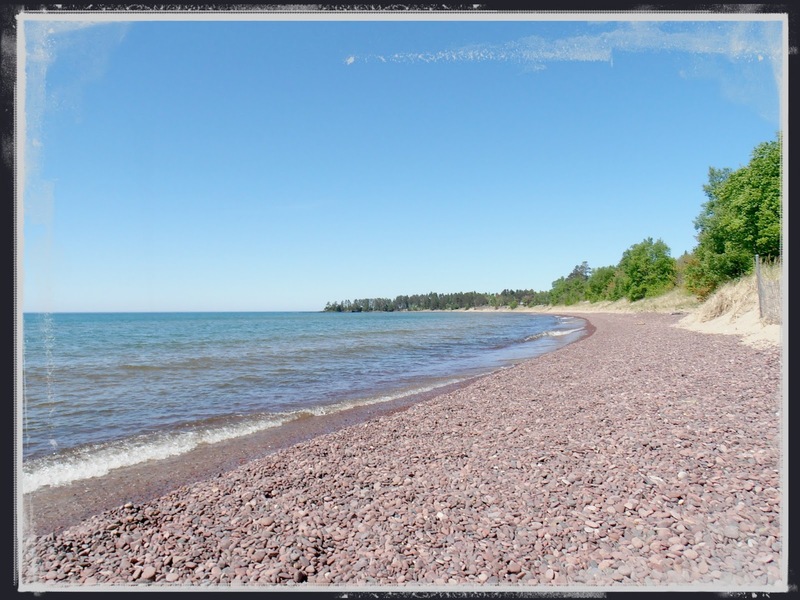 The two girls from my goals group and I got together to rent a cottage, hike, sit on the shores of Lake Superior and just relax. It was so awesome! And I want to tell you all about it, but today I have about a million things to do- laundry to wash, stuff to unpack, and groceries to buy all before going to work at 3pm this afternoon. So, I'm just going to tell you a little story about our trip. On our way up to our cottage, we stopped in Calumet, Michigan, which is an awesome little town about 40 minutes south of Copper Harbor. They have this used bookstore that I just love, and since all three of us are bibliophiles, we stopped to peruse. Friday is apparently the day some of the local muscians get together for a little jam session so while we were slowly making our way through the stacks, we got to listen to them sing bluesy songs like "Lullaby of Birdland" with a folksy twist. It was AMAZING! Like, it's seriously one of my favorite memories of the trip- wandering through this little bookstore with my two friends (we were the only patrons), while the clerk, and a few other people sang Ella Fitzgerald and Sarah Vaughn songs accompanied with strings. We didn't want to leave. But we finally figured we should move on. I have a stash of CDs in my car, full of my music tastes circa 2005. And there was a handful of blues in there, so we popped in a compilation of Billy Holiday, Ella, Nina Simone and the like, and just drove along Lake Superior on our way north. It felt like the perfect soundtrack and we all felt like everything was right in the world. If you want to see what every one else is listening to this week, check out Muscial Mondays hosted by My So Called Chaos and feel free to link up if you have a song to share! It sounds like you had a great time Kaylee! I cannot wait to read more about your trip. What a treasure it was to find the bookstore and listen to the local artist. How exciting! It was so fun Jolene, and so relaxing. We just hung out and slept in as late as we wanted (or as early in my case) and read, played cards, hiked, ate good food, drank coffee on Lake Superior, just so awesome! I would go back in a heartbeat.